When you first get a Cricut, it might seem daunting. You think about how you now have to learn how to use the machine itself AND some software to cut out designs. I see comments often enough about how someone has had theirs in the box for months, hesitating to break it out since they worry it will be too difficult. I've been there myself with other tasks in life....putting it off for so long because I'm afraid of failing. It's SO much easier these days to figure out how to do things with the Internet, isn't it? 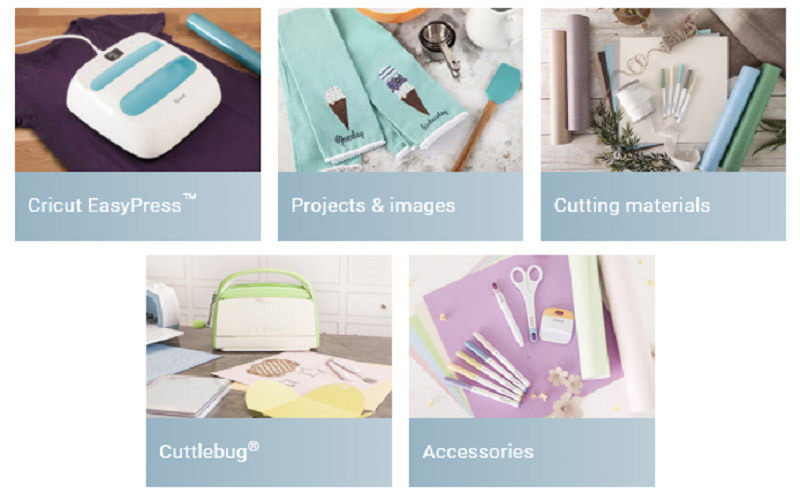 Here are several places online that can get you started on your Cricut crafting journey. We're working on a myriad of tutorials to help you learn how to unlock the full potential of your machine(s). Some teach you different tools and aspects of Design Space, our software. Others teach you how to put a project together and make it your own. You can go to the Tutorials section to see what we have currently and watch for upcoming posts. If you look at the top of every post here, you'll see the words Learn and Help. These pages are chock full of tutorials, videos, and FAQs to help you along your journey to crafting joy. There are sections covering the different machines, materials, and accessories so you can master them all. Cricut Maker: What's in the Box? There are SO many Facebook groups centered around Cricut. Some are officially created in conjunction with Cricut, while others were started by fans. You can learn from others, get inspiration for projects and get tips and tricks for the best experience. 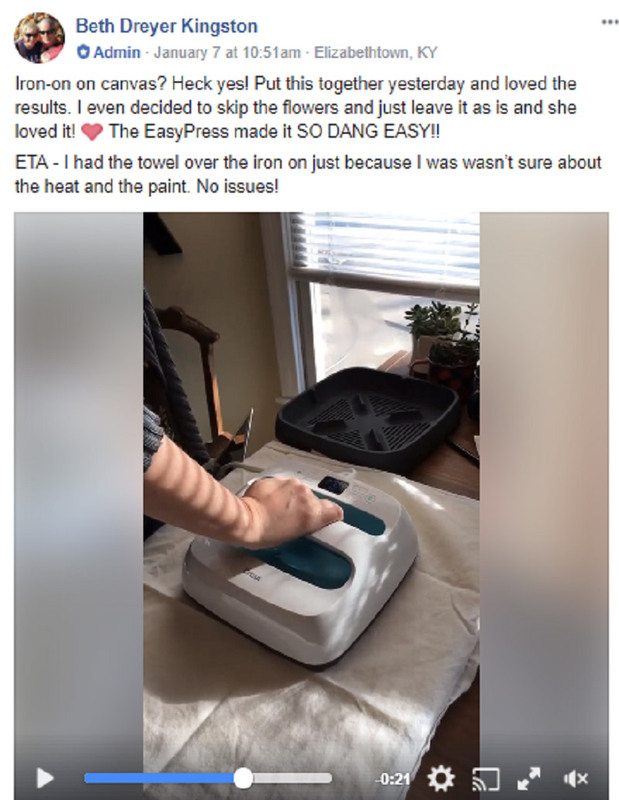 For example, the picture above was taken from a Facebook Live in the official Cricut Maker Inspiration and Tutorials group where Beth Kingston (one of the contributors to this blog, QVC star and awesome blogger) showed how to use the EasyPress. Find them by searching for Cricut, then switching over to the Groups section to see all of the different ones. 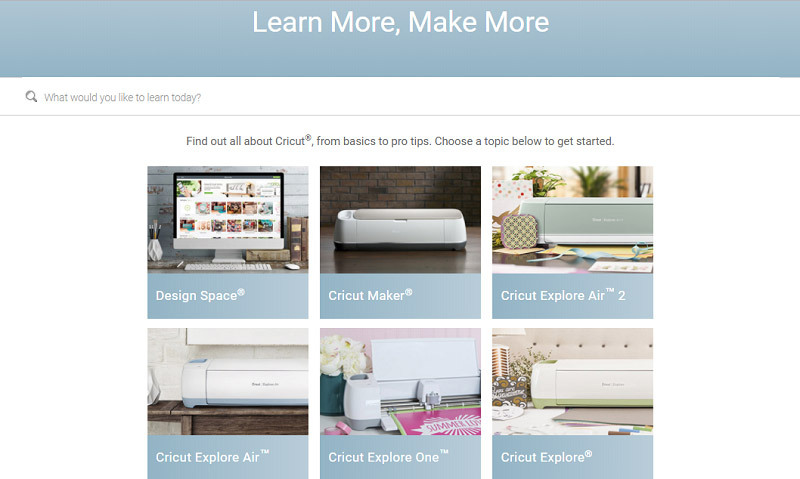 Cricut has also partnered with many blogs to help you be further inspired and gain the knowledge you need. 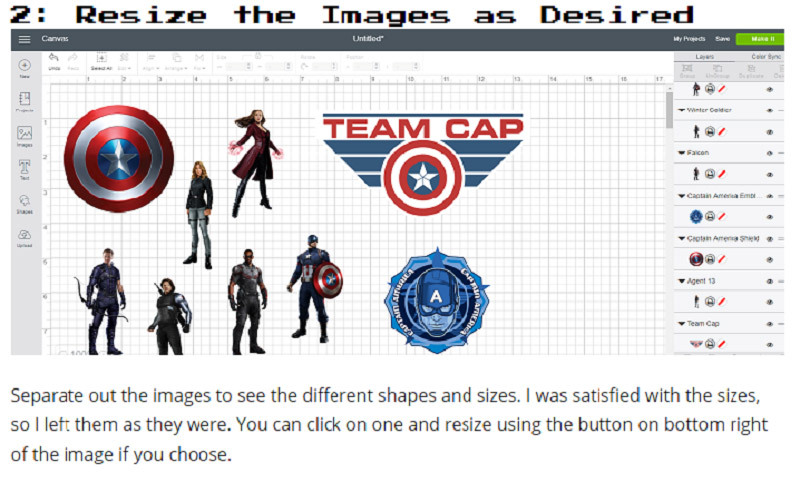 For example, I also work with them on my geek blog and have written posts like this one on making Avengers decals using Cricut images. A good way to find their work is through our Cricut Ideas From Bloggers and More board on Pinterest. I am head over heels in love with YouTube because it has helped me figure out things so many times over the years. We have an official YouTube channel with lots of videos about Design Space, projects, materials and more. Don't forget to subscribe so you'll be notified when we add more! We have also started producing webinars to give you an additional education resource. Our first one has now been added to YouTube. You can get more details about it and sign up for Part B in this post. Finally, there are many other YouTubers who are producing videos about using these machines. This Wonder Woman key ring totally makes my geek heart happy. How do you learn to Cricut? Tell us below! Organize All the Things This Year!